Sometimes simple things can have a big impact. Walking is a great way for people to stay healthy, and encouraging people to walk—by making our communities more walkable—has emerged as an important public health strategy. When communities feel safe and when they have infrastructure like sidewalks and easy access to hiking trails, people are more likely to walk, kids are more likely to get physical activity, and rates of chronic disease are apt to decline. Streets built for walking can bring more foot traffic to stores and restaurants and help attract new businesses. Investing in active transportation creates more jobs per dollar than highway projects. 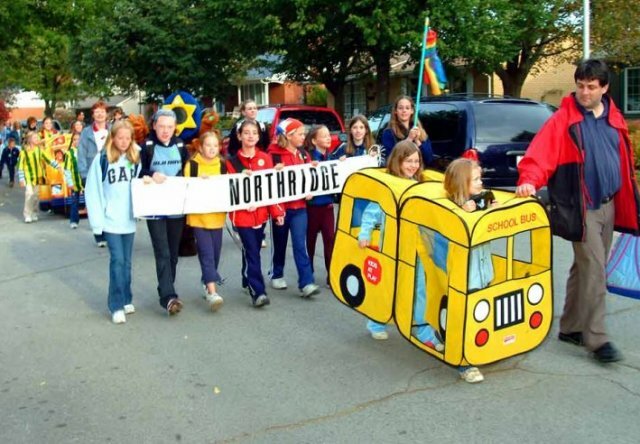 Designing communities to encourage walking can also help residents reduce their transportation costs, a significant benefit for low-income families. 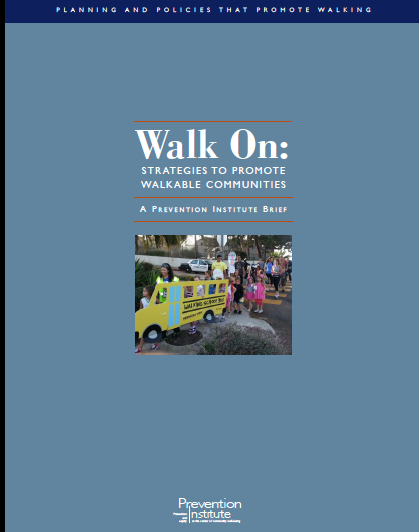 As the month of Walktober winds down, Prevention Institute is pleased to release a new resource, Walk On: Strategies to Promote Walkable Communities. We hope this report will help public health professionals and community advocates make the case for making our communities and streets walkable. Walk On explores the nuts and bolts of planning and Complete Streets policies and includes case studies on rural and urban communities that are making real strides to encourage walking. We’ve just printed this bumper sticker. Send us a note with your return address and we’ll send you a free copy. If your organization wants to purchase copies in bulk, get in touch and we can arrange it. Our Collaboration Multiplier tool helps organizations wanting to collaborate identify key partners, navigate differences and find solutions that advance shared goals.